In August 2018, economic sentiment was running at close to all-time highs. 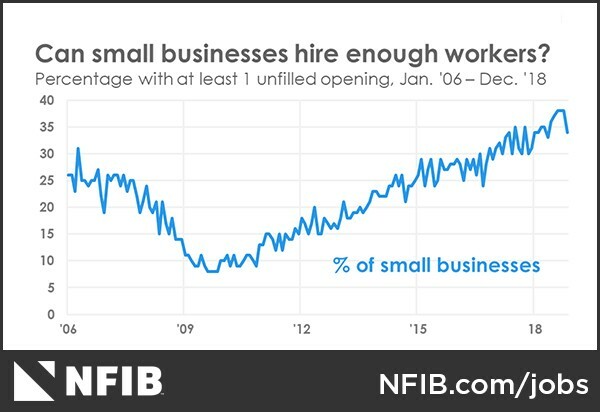 Small businesses were hiring but yet many were not able to fill those positions. 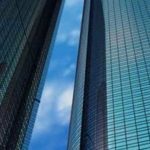 Businesses were taking out loans, investing in growth and inventory and the market was trading at all-time highs. What effect did this have on small business sentiment in December 2018? Just four short months later, storm clouds are looming on the horizon. The trade war with China continues with no apparent end in sight. The same can be said of the government shutdown, which is the longest on record as of this writing. Action by the Federal Reserve Bank in the form of interest rate increases are leaving investors increasingly jittery after a significant bull run. 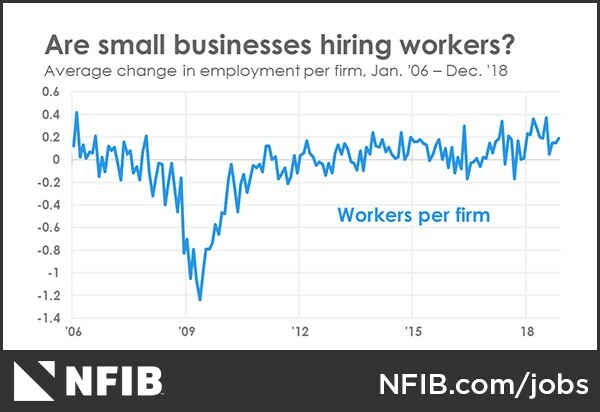 This begs the question, what is small business sentiment now that there are some obstacles ahead? 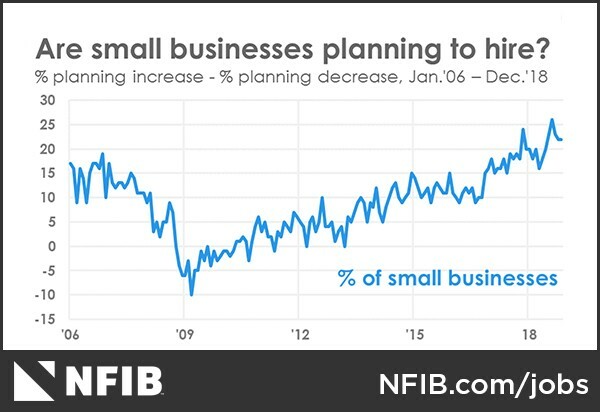 The NFIB released the results of its survey of small business owners conducted in December 2018 assessing small business sentiment. 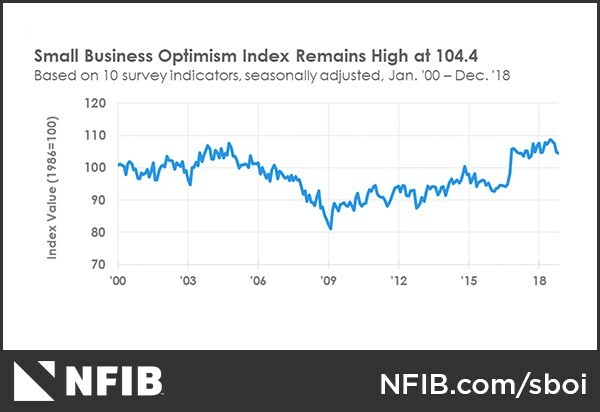 The NFIB Small Business Optimism Index has been completing quarterly surveys of members since 1973 and monthly surveys since 1986 to summarize small business economic trends. Surveys are sent out monthly to members and released the second week of every month. 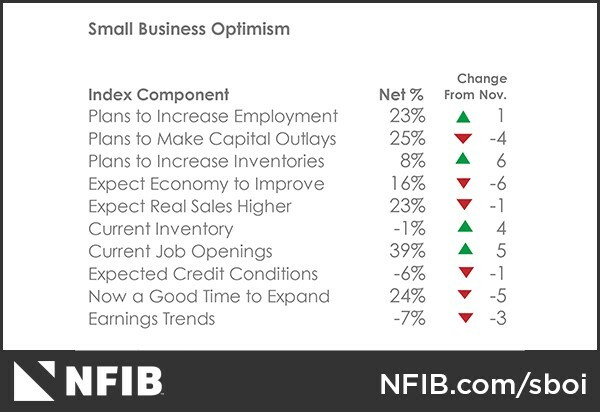 Results show that small business optimism drifted downward 0.4 points from a total score of 104.4 recorded when the survey was last conducted in November 2018. Results show that the lack of availability of human capital continues to persist. The number of unfilled job openings reached record highs and plans to create additional jobs increased. Additionally, small businesses were paying higher wages to retain qualified employees. On the inventory front, plans to increase investments in inventory increased as well. Overall, expected sales growth and business conditions accounted for the modest decline. Plans to invest in inventories are two points below the record high recorded in August. Small business owners are satisfied overall with inventory levels. This number increased two points over August 2018. Small business owners are putting sentiment into action. Actual capital outlays or investment are five percentage points higher that what was recorded in August. Additionally, plans for capital outlays are down 8 points from the high for this economic expansion. Hiring strengthened over Augusts’ readings and job openings are a record high level. However, plans to create new jobs are down three points from the record high, also recorded in August 2018. Small business owners see storm clouds on the horizon. The net percent of business owners expecting better business conditions in six months and the percent viewing the current time as a good time to expand has tapered off. However, it is still well above historical averages. According to the survey, job creation was solid in December with just .25 workers added per firm surveyed. In other words, one in four small businesses surveyed added new jobs. This number includes those respondents who did not add new employees to the payroll. What is the single most pressing business owner for twenty three percent of survey respondents? Not being able to find qualified workers. This is down 2 points from the previous survey, a record high reading. A full thirty-nine percent of survey respondents reported job openings that they could not fill. Thirteen percent reported using temporary workers to address labor needs. Labor markets are still very tight. How does a lack of qualified applicants fare on compensation for existing qualified candidates? Thirty five percent of applicants increased their compensation while twenty four percent planned on increasing wages in the next three months. This is down one point from the previous survey. As a result, additional gains in wages and benefits are expected in the near future. A full four percent of survey respondents reported higher nominal sales between August and December 2018. This is also down from the previous survey. For 2018, nine percent of net respondents reported higher sales. This compares to two percent of respondents for 2017. As a result, sales have been up for more respondents in 2018 over 2017. The record high is fifteen percent of respondents recorded around 2001. Fewer small business survey respondents reported inventory increases. The number reporting inventory increases three points to a seasonally adjusted three percent. This is down from the previous survey’s results, which were the second best showing since 2005. 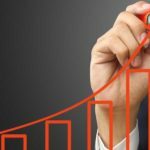 Related to inventories, the net percent of business owners planning to increase stock rose six percent to eight percent of small business survey respondents. These are all very strong inventory numbers. Sixty one percent of small business survey respondents reported capital outlays, unchanged of the previous survey. Expenditures include new equipment, new vehicles, new buildings or land or land. Twenty five percent of respondents plan capital outlays in the next 3 to 6 months, providing additional economic growth. The frequency of reports of positive profit trends fell three points over the previous period to a net negative seven percent reporting quarter on quarter profit improvements. In other words, the number of respondents reporting quarter on quarter improvements decreased. Of those respondents reporting weaker profits, one third of them citied slower sales and four percent cited increasing labor costs. 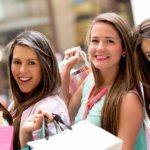 Twenty one percent of respondents attributed slower sales to seasonal changes. For small business survey respondents reporting higher profits, sixty one percent credited increasing sales volumes, unchanged from November. Only less than ten percent of respondents credited changing prices for the increase in sales volumes. Just what does this information mean? Just what does all of this mean? 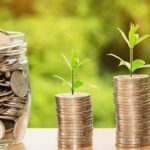 Despite the fact that small business owners see storm clouds on the horizon, the economy is still very strong showing only a slight decrease in small business optimism over the previous period. Most of the clouds on the horizon are man-made in the form of policy decisions by the Administration (Trade war with China and the Government shutdown) and the Federal Reserve. (Interest rate increases). Since the clouds are on the horizon and the economy is still very strong, momentum should not slow substantially in 2019. However, the same cannot be said for 2020. If you are looking to increase already low inventories to grow your business, consider a merchant cash advance from Zip Capital Group. We have a team of dedicated small business experts to guide you through the application process. Apply online or contact us today to get started today.